If you have oily skin like me then you’ll know, no matter how many mattefying lotions and powders you use, there will come a point in every day when your face goes a little on the shiny side. Blotting papers to the rescue! I’ve been picking these up in my local Home Bargains for an unbelievable 49p! Yes, you read that right! Bargain beauty at its best. I assumed they must have been the last of a lot so I shouldn’t get too attached, more often than not I have bought something in the cheaper stores, fell in love, and never been able to find it again! 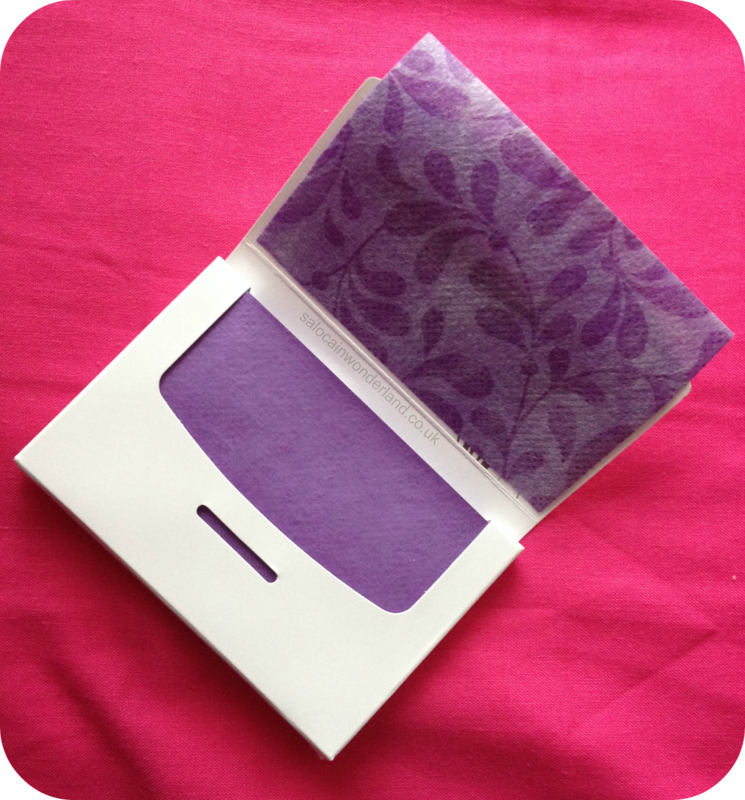 Each little white packet contains 50 shine absorbing, powder free sheets. The little packet is the perfect size for any bag/purse/clutch/wristlet so you can take them with you night or day for whatever adventure you’re off on! 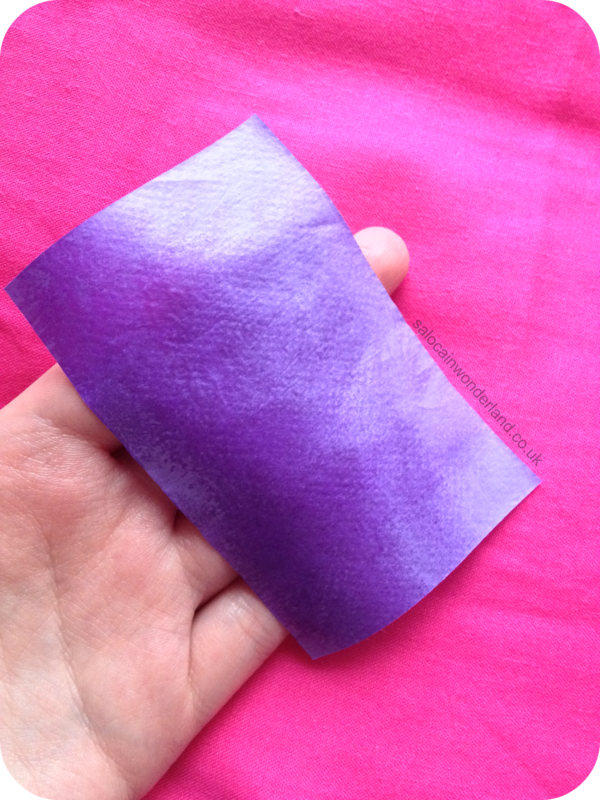 The papers themselves are purple in colour with a soft printed tissue side that looks pretty but has no real use (double sided, these would have been amazing!) The blotting side, the side where all the magic happens has a plastic like sheen and feel to it They’re actually a lot sturdier than some papers I’ve seen but very tissue like. To use, simply press the non-patterned side against your face, I dab quickly and confidently and it instantly starts to absorb and oils or grease sitting on my skin. The sheet will go darker where oil has been absorbed so very little will be absorbed once the tissue turns that darker shade of purple. It usually takes 2 – 3 tissues to remove all excess oils and grease from my skin if I haven’t blotted for a couple of hours. Fragrance free, powder free, cheap and super effective, what else can I say? They tick every box and are the best purse-sized weapon I’ve come across for combating oily skin! I also use them to remove excess product if I’ve used a slightly heavier moisturiser and want to wipe up any excess before applying my make up! 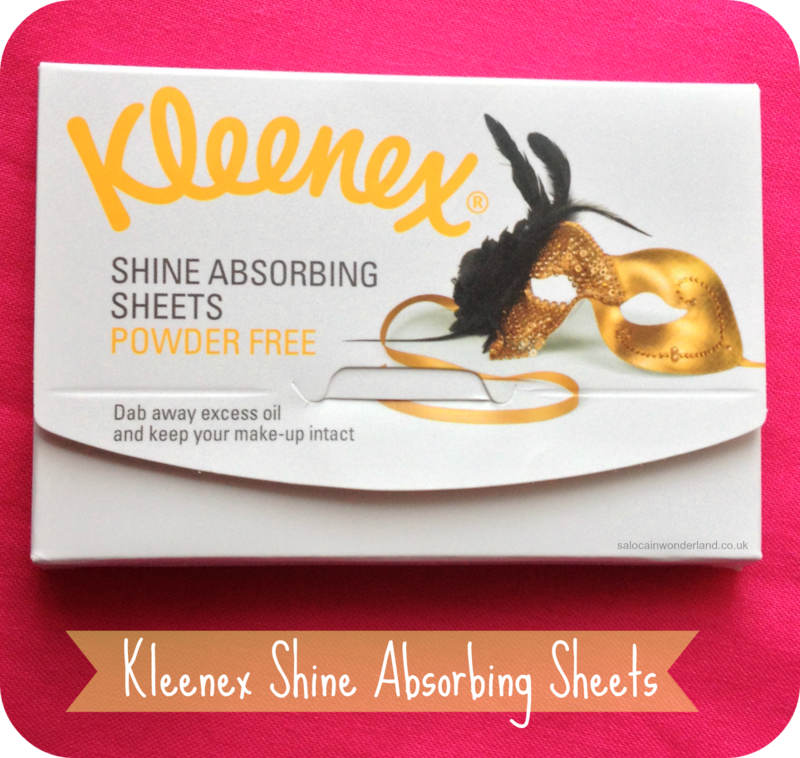 Have you tried the Kleenex shine absorbing sheets? Can you think of an even better blotting buddy I need to check out? Let me know in the comments below!